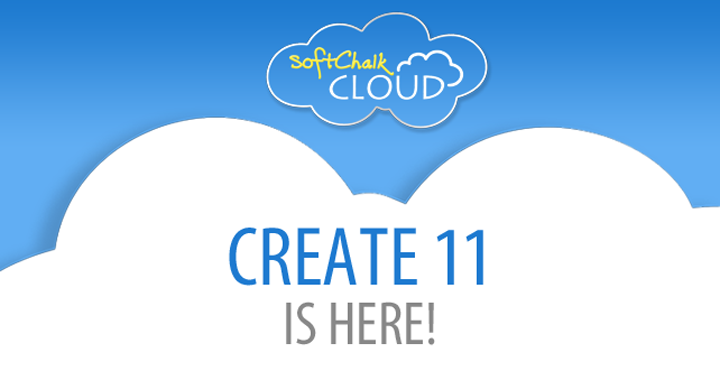 SoftChalk Create 11 is HERE! More options! More choices! More modern! More responsive! More accessible! The easy-to-use authoring tool itself has changed very little, but the content you generate is completely new and updated! And updating your existing content to the new format is quick and easy! More options! More choices! More modern! We’ve updated and redesigned the lessons you create with SoftChalk, and in the process, we now offer three new lesson layouts to choose from. Everyone has gone mobile—so SoftChalk lessons needed to up their mobile game! And with this update to SoftChalk, you can now create beautifully responsive lesson pages that look good no matter what device or browser you’re using to view them. The lesson page design now responds to the user’s behavior and environment based on screen size, platform and orientation, which makes the content usable on desktop, laptop, tablets and mobile screens. SoftChalk lessons automatically respond to the user’s environment and actions. If you’ve been using SoftChalk for a while, you know that your SoftChalk lessons already have many accessibility features “built in.” This makes it very easy for you and your organization to meet the WCAG (Web Content Accessibility Guidelines) 2.0 AA requirements for online content. But addressing accessibility is an ongoing effort at SoftChalk—we continue to elicit feedback from our users as well as experts in the field of accessibility. As such, we continue in our efforts to improve the accessibility of the content you create with SoftChalk. Below are some of the newest updates related to improved accessibility. Visible “Skip Navigation” feature: Previously, there was a “skip navigation” feature automatically built into every lesson page. However, the “Skip navigation” link was not visible for keyboard-only users, or screen enlarger users with low vision. The recommendation was to make the “skip navigation” link visible. In V11, the new visible “skip navigation” link appears at the top of every lesson page when the learner selects the “tab” key to tab through the lesson. Table of Contents simplification: Previously, it was possible for an author to select and include multiple TOC navigation options in their lesson. Our accessibility review revealed that this could be confusing for those using screen readers. The recommendation was to allow only one TOC option in a lesson. In V11, we still provide multiple options for configuring the TOC in your lesson, but you may only choose one of those options per lesson. e.g.—you cannot have both a drop-down TOC on the nav bar, and a TOC in the sidebar. Improved accessibility of the TOC elements: Previously, some of the TOC elements were not keyboard accessible. Also, in some cases, the learner had to tab through dropdown or rollover menus (secondary list items) rather than through the primary list items first. In V11, this has been corrected. Improved and Corrected page Landmarks and ARIA tagging: Previously, there were some “roles” that were duplicated in a lesson page, creating confusion for screen reader users. There were also some issues with incorrectly identified roles and landmarks. In V11, these have been corrected. Changed the illogical tab order of the page: Previously, the page tab order did not follow the logical structure of the page. In V11, this has been corrected so that the tab order more closely matches the visual rendering of the page, for those using screen readers and keyboard only navigation. Enhanced the visual focus indication: Previously, it was difficult for those using keyboard-only to see the visual focus indication as they tabbed through the lesson, making it difficult to identify and track where they were in the page. In V11, this has been addressed by making the visual focus indicator a more prominent outline. Logo Image Alt tag: Previously, when a user added a logo image to their lesson theme, there was not an option to define an alt tag for screen readers for this image. In V11, this has been corrected. Banner section heading structure: Previously, the lesson “title” that appears in the banner section of the page, was not structured with an H1 tag. The H1 tag in the banner helps the learner identify the purpose of the web page. In V11, this has been addressed by changing the structure of the title from a paragraph tag to a heading tag. Sidebars used wrong default heading style: Previously, sidebar elements were structured such that each element used an H3 tag for its heading style. This impaired the heading structure of the page. In V11, this has been addressed by allowing the author to choose the appropriate heading level for the sidebar elements. Some text and background color combinations did not have enough contrast: Previously, the author could choose from over 100 different “lesson styles,” some of which used text and background colors that did not have high enough contrast for users that are colorblind or low vision. In V11, the style options have been changed to offer only selections with high color contrast between background colors and text colors. Order of document content was not logical for screen readers: Previously, the HTML code order of the page content was such that the sidebar content was read by a screen reader before the main content area of the page was read. This could be confusing for those using a screen reader to read the lesson page because it did not follow the visual order of the page. In V11, this issue has been corrected so that the HTML code order of the page follows the visual order of the page, with the main content area presented before the sidebar, and then footer areas of the page. For more information about SoftChalk Create 11, contact learnmore@softchalk.com.